'Americanah' Author Explains 'Learning' To Be Black In The U.S. When Chimamanda Ngozi Adichie moved from Nigeria to the U.S., she was suddenly confronted with what it meant to be a person of color in America. Her novel explores race in contemporary America. This interview was originally broadcast on June 27, 2013. "I remember sitting there thinking, 'But what's so bad about watermelons? 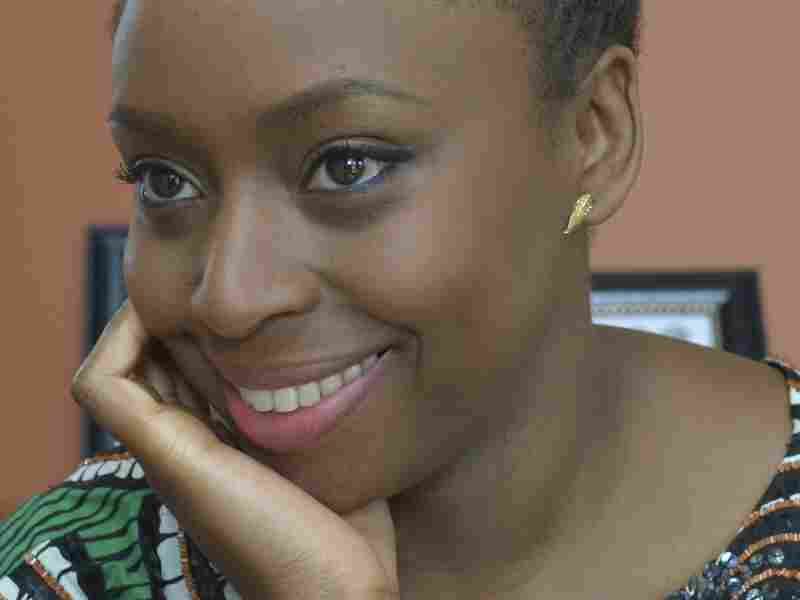 Because I quite like watermelons,' " Adichie tells Fresh Air's Terry Gross. She felt that her African-American classmate was annoyed with her because Adichie didn't share her anger — but she didn't have the context to understand why. The history of the trans-Atlantic slave trade was not taught to students in Nigeria. Adichie had yet to learn fully about the history of slavery — and its continuing reverberations — in the U.S.
"Race is such a strange construct," says Adichie, "because you have to learn what it means to be black in America. So you have to learn that watermelon is supposed to be offensive." 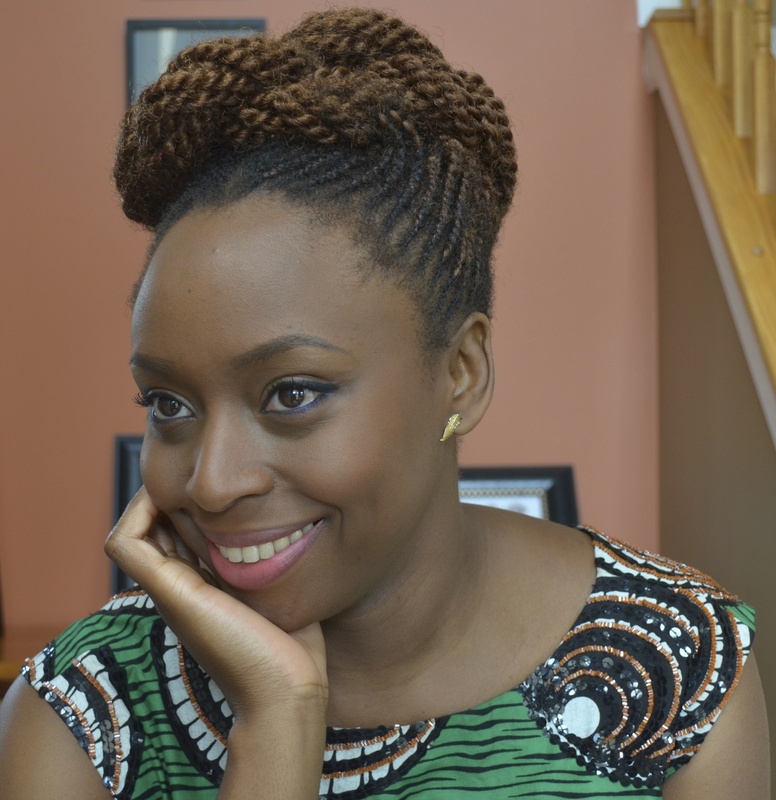 Adichie is a MacArthur Fellowship winner and author of the novels Purple Hibiscus and Half of A Yellow Sun. 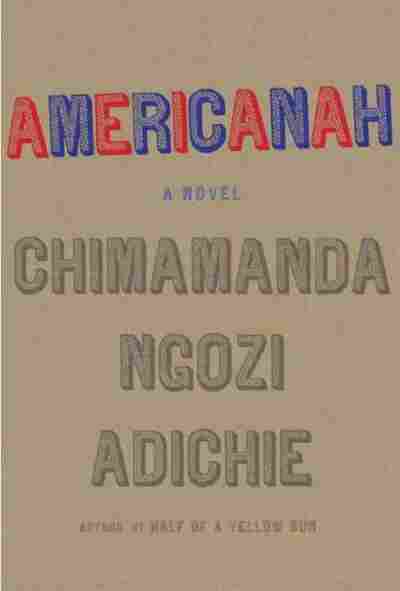 Her novel Americanah explores this question of what it means to be black in the U.S., and tells the story of a young Nigerian couple, one of whom leaves for England and the other of whom leaves for America. "It's often used," she says, "in the context of a kind of gentle mockery." Chimamanda Ngozi Adichie's short fiction has appeared in The New Yorker and Granta. She is also the author of the novels Purple Hibiscus and Half of A Yellow Sun. "I think that one is not burdened by America's terrible racial history, and I think when people say to me, 'You're different. You're not angry,' in some ways it also feels that I'm being made complicit for something that I don't want to be complicit in. Because in some ways they're saying, 'You're one of the good ones.' And I think to say that is to somehow ignore the reality of American history. So for example, people will say, 'Oh, you're so easy to get along with.' And they'll tell me some story of some African-American woman they knew who just wasn't like me. Which I find quite absurd." "I really love the American liberal arts college education system and the way you can take classes in philosophy, political science and communications. I was thrilled [as an undergraduate]. I don't think I quite had a plan. I did think I would go back home, which in many ways I have, because I have a life in both places. But I didn't really have a firm idea of what I would do with it. I was just so grateful to have classes that I not only did well in, but also enjoyed." "[T]he rite of passage from girl to woman is when you can go get a relaxer and have your hair straight. I remember looking forward very much to my last day of secondary school. ... When I graduated secondary school, what I really wanted to do was go straight to the hair salon and get my relaxer, so my hair would be straight. Then I came to the U.S., and ... I couldn't afford to get a relaxer at a hair salon here because I thought it was just needlessly expensive. So I went to the drugstore and bought the relaxer kit and decided to do it myself, which didn't end well. Having then a scalp with really bad burns, I suddenly thought, 'Why am I even doing this?' And that's when I stopped using relaxers. And it took a while to accept my hair for the way that it grows from my head." "My father tells a story about his father dying in a refugee camp. His father was a titled man in Igboland, which meant that he was a great man. He had one of the highest titles a man could have. But his hometown fell, so he had to leave and go to a refugee camp, and he died and he was buried in a mass grave. Which is just heartbreaking for a man, particularly a man like him. My father, who's the first son, and who takes his responsibilities very seriously, couldn't go to bury his father because the roads were occupied. He was in a different part of Biafra and so it took a year until ... he could go to the refugee camp. ... And he goes there and he says, 'I want to know where my father was buried.' And somebody waved very vaguely and said, 'Oh we buried the people there.' So it was a mass grave. So many people had died. And my father says he went there and he took a handful of sand, and he said he's kept the sand ever since. For me, that was one of the most moving things I had ever heard." "[M]issionaries brought education, so that it wasn't just education, it was religion: They both came hand-in-hand. So that for my father, for example, who was born in 1932 and who started to go to school in eastern Nigeria in 1936, you didn't just go to learn math, and English and science, you also learned that Jesus was Lord and everything your parents were doing at home was evil and demonic and all of that. And so now we have a generation of educated Africans who are also very Christianized. [And] not only Christianized, because I think it's possible to be Christianized and still have a respect for other traditions, but many of them don't because their version of Christianity — their God — was one in which to be Christian meant to not only reject, but demonize, traditional religion. So many people in my father's generation think that what their fathers and grandfathers and great-grandfathers did was evil, or they use interesting words like heathen and pagan."